Translation services are essential if you need to speak the language of your clients. I will translate your English documents into smooth, professional Spanish, combining accuracy with style. I have worked on website content, marketing materials and more. I can create informative, accurate text that helps your business ‘speak’ directly to your target markets. I would love to discuss your ideas. I can proofread, edit and improve your texts, whether they were originally written in Spanish or translated from another language, making sure they are 100% correct and well written. Localization is making potential customers feel that the business is a part of their local customs and culture. It can involve language, communication style, design preferences and more. Because content marketing is the new advertising, and I can help you do that effectively in Spanish. Some call it creative or marketing translation, but there is a lot more to it than that: a successfully transcreated message evokes the same emotions and carries the same implications in the target language as it does in the source language. 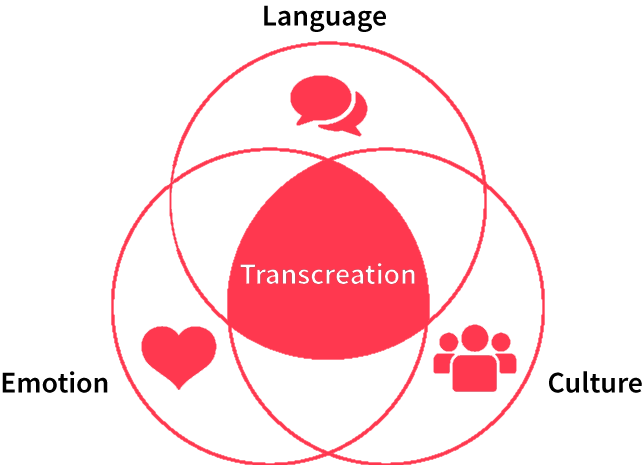 Done well, transcreation generates trust, empathy and emotion. The idea is to reflect emotions and feelings naturally, as if the text had been crafted from scratch in the target language. It is a combination of translation and creation that seeks to recreate a text, making it attractive, appropriate and relevant to a specific target audience, while maintaining its intent, style, tone and context. It calls for great creativity and an exhaustive understanding of both cultures. Word choice can persuade, inform, surprise or even inspire. 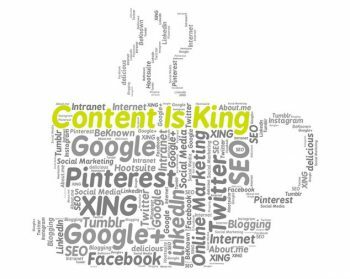 High quality content is crucial to the success of any website in order to retain visitors and have a high ranking on search engines. Great copy can turn a complete stranger into a loyal customer. In fact, your business wouldn’t exist without words. I will be happy to create Spanish written content for your website or any other marketing material (i.e. brochure, leaflet) to suite your business and audience needs. I work in close contact with you during the copywriting process to match the tone and style to your brand and ensure the end result corresponds to your wishes. Are you unsure about your Spanish texts? 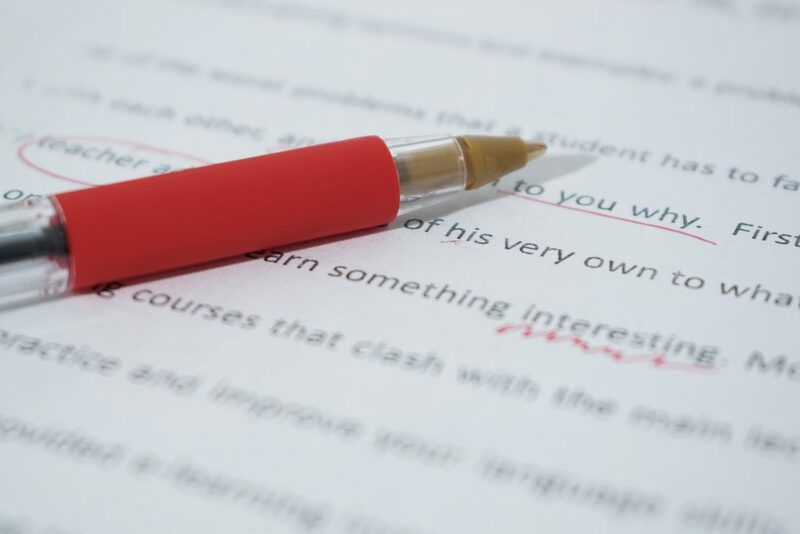 I can review, edit or proofread your documents to correct errors in style, grammar and consistency, to ensure the tone and style of the original have been respected and the text is coherent and cohesive. A poorly written text with spelling, punctuation mistakes or lack of coherence can have a major impact on your target audience. You can be confident that your documents will reflect well on your business and your core message is being understood in Spanish. The evidence is unequivocal: research shows that three-quarters of the online audience prefer and seek content in their own language. With proper website localization, your content will be read by millions of potential clients who otherwise never would have come across your website, leading to your brand recognition worldwide. 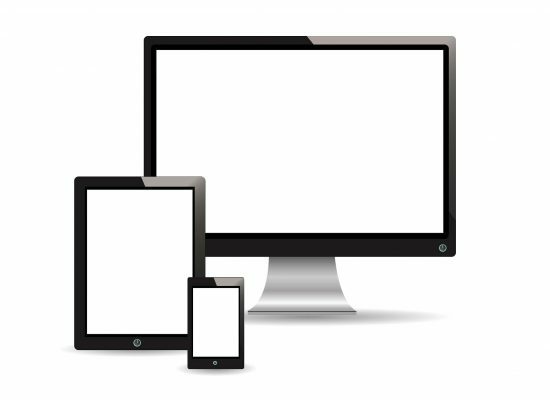 I have localized websites, apps and games with the goal of ensuring the content has a nice flow and nothing stands out, either grammatically, stylistically or phonetically. My website localization service will help you increase website leads, reach new clients and build market presence. Literal conversion of the text from one language to another can sometimes lead to embarrassing translation mistakes. In today’s online marketplace, localization offers one of the most substantial returns on investment for businesses seeking to expand their global reach.